Tesla CEO Elon Musk announced last week that Tesla will slash 7% of its workforce, the company’s second workforce reduction in less than year. In June 2018, Tesla had announced that it will cut it’s full time workforce by 9%. That takes the overall reduction in the workforce well into the double-digit region. But why keep reducing the headcount when Tesla had reported profits in the third quarter of 2018 and made a vow to keep the company sustainably profitable in the future. In the email, Musk repeatedly drew his employees attention to Model 3 production ramp and the need to steadily reduce Model 3 price as the main reason behind the workforce reduction. Though Elon Musk’s projections and analysis sound true, it must also be noted that Tesla has way too many employees for a company that is yet to build 10,000+ cars every week. The number of employees working at Tesla increased from 514 to 37,543 between December 2009 and December 2017. Headcount more than doubled in one year, from 17,182 in 2016 to 37,543 in 2017. Tesla’s acquisition of SolarCity was one of the major contributors to the increase in employee count. But Tesla is still 94.6% auto company and 5.84% energy generation and storage company. If we are going to dig deep into their workforce statistics we have no choice but to treat Tesla as an auto manufacturing company. By mid-2018, Tesla was building less than 7,000 units per week but already had well over 40,000 employees in its payroll. Media reports claimed that Tesla had around 46,000 employees at the time of the announcement. 46,000 employees for a company that was building less than 7,000 vehicles every week is a lot of extra hands-on deck when you compare it with other leading manufacturers. BMW had 129,932 employees by the end of 2017 but delivered 2.46 million vehicles and 164,153 motorcycles for the full year. BMW built nearly 47,000 vehicles every week in 2017 with a workforce of 129K. BMW had 129,932 employees building 2.46 million vehicles in 2017. Three times Tesla’s workforce for a production capacity that’s seven times bigger than Tesla. The Fremont Plant, which Tesla bought from GM and Toyota had better worker to production ratio than Tesla. Just 5,000 employees building more than 350K vehicles in a year. At the very least Tesla should be aiming for a vehicle to worker ratio similar to BMW or Mercedes. 45,000 employees building less than half a million cars is certainly not lean manufacturing. Unlike other car manufacturers who enjoy the support of the dealership networks, Tesla runs its own sales and delivery network. This will increase the company’s headcount. Since Tesla must build batteries for its EV vehicles, we must give Tesla additional room for the workforce at its battery plant, Gigafactory 1. But how many employees will you need for a network of 351 store and service centers and a mobile fleet of 373+ vehicles? Is Gigafactory the reason behind Tesla’s bloated workforce numbers? Nope, not at all. As of June 2018, Tesla’s Gigfactory 1 had 7,059 employees, accounting for less than 20% of Tesla’s workforce. Whatever the way we slice it, Tesla clearly has way too many hands on the deck. The company needs to do a lot more with what it already has. Re-balancing Tesla’s workforce is just a start. You must be wondering why I called Tesla’s headcount reduction as re-balancing it’s workforce. It’s because Tesla didn’t stop hiring. When Tesla announced it’s 9% workforce reduction in June 2018, estimates put Tesla’s workforce strength around 46,000. A 9% reduction would have slashed 4,140 jobs. In October, Tesla CEO tweeted that the company has employed 45,000 workers. Thanks for recognizing the great work of the Tesla team! 45,000 people now. Tesla’s plan to start production in China and the plan to launch Model Y, Pickup Truck, Tesla Semi, and Tesla roadster will certainly require additional talent. Tesla may let go of around 3,000 employees this time, but it will only be a matter of months before it hires the same number of people. 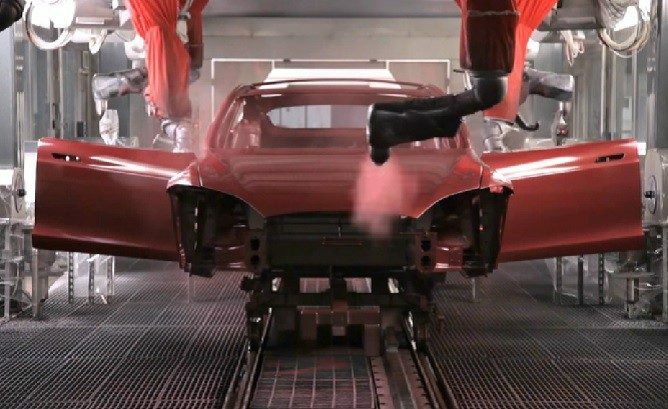 Tesla is re-balancing its workforce. There is a good chance that the company is now shedding roles that it deems unnecessary while hiring talent for new roles. By decreasing the number of employees now and hiring more later, Tesla will save some money in the process. It’s a given that between now and later, Tesla will increase its production and delivery by few folds.